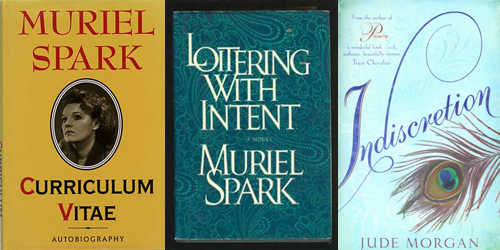 Simon T and Harriet are hosting Muriel Spark Reading Week from April 23rd to 29th and I had lots of fun going through the library catalogue and picking out what I wanted to read. I ended up with Loitering with Intent, which is on Simon’s list of “50 Books You Must Read But May Not Have Heard About” , and Curriculum Vitae, because I cannot resist an autobiography. I had wanted to reread A Far Cry From Kensington but, inexplicably, the library has only one copy and it has been checked out. I might still get it in time but I am not holding my breath. I also picked up Indiscretion by Jude Morgan. This, the story of Caroline Fortune who, after her father is ruined, takes up the position of companion to a wealthy widow, was my introduction to Morgan. I only read it once, shortly after it came out six or seven years ago, and don’t remember all that much about it so I’m interested to see how it compares to his other books which I know and love. Reading Jennifer Kloester’s enjoyable biography of Georgette Heyer last week made me want to reread all of her Regency books immediately. Since, for this week at least, Muriel Spark is taking precedence when I have time to actually read, audio-books seemed the perfect solution, allowing me to enjoy both Friday’s Child and The Toll-Gate while I’m working on other tasks. These audio-books are a bit older (the covers probably gave that away) and not as slickly produced as the Naxos ones but they are unabridged, which is nice. Hurrah for Muriel! I’m also planning on reading CV next week, so it’ll be fun to compare notes. 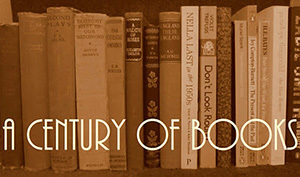 I’ve only read one book by Jude Morgan–a Regency type story, which I liked very much. I am reading The Girls of Slender Means right now and hope to also squeeze in A Far Cry From Kensington (which I lucked out and found used a while back). I’m looking forward to hearing about Spark’s other books via other readers! 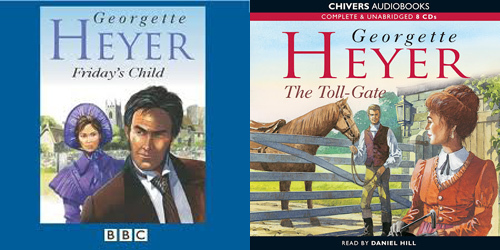 And you can never do wrong with a book by Heyer–I usually read one or two of her books a year, but so far haven’t picked one up (something to look forward to). I’m not familiar with Muriel Spark. I’ll have to take a look at her work. Enjoy your loot. I was tempted by the MS week but too much happening right now. I really like Jude Morgan too. Enjoy your loot. I hope you enjoy them, and do let us know your verdict on these audio editions, if you don’t mind. Read Muriel Spark’s autobiog several years ago and, if my memory serves me rightly, I enjoyed it. Also read A Far Cry from Kensington many years ago, again a delightful novel. What have I been picking up this week? Well, I bought the first of the Norah Loft’ ‘House’ trilogy a few weeks ago and thought i’d have a stab at The Town House. Loving it so far … my only quibble with this paperback from The History Bress (www.thehistorypress.co.uk) is that the print is too small. Yes, I wear reading glasses, but print the size of newsprint is just a tad too tiny when I’m reading a book. The other books in the series are The House at Old Vine and The House at Sunset. They chart the inhabitants of a Suffolk house from the late 14th century to the middle of the 20th century.